*PDF files require the free Adobe® Reader® software for viewing. Attention people with visual disabilities: please visit access.adobe.com to work more effectively with PDF files. On this website, a file size will be indicated when exceeding 1M. Need help with PDFs? We offer comprehensive vision exams as well as treatment and monitoring of eye diseases and conditions. 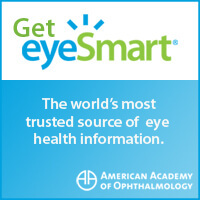 To learn more about eye diseases and conditions Eyemaginations Online provides a wide spectrum of patient education videos for your viewing at any time. Click on the Videos tab in the top navigation bar to begin your journey and discover how Eye Consultants of Pennsylvania can help you by providing the best eye care possible.